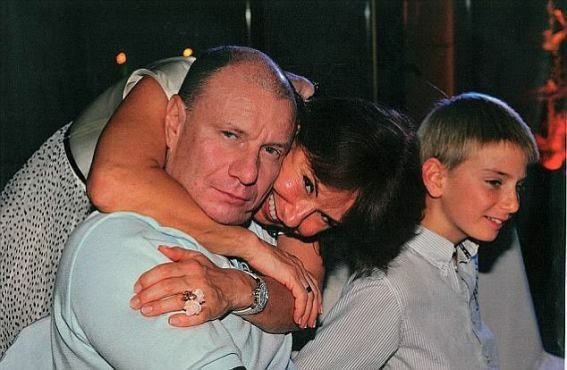 55-year-old Natalia, who is the ex-wife of Russian oligarch, Vladimir Potanin, 56, has filed a lawsuit demanding $15billion from him. She’s seeking half of his wealth, including dividends from Norilsk Nickel, which Potanin owns 30 per cent of, and Interros International, his investment company. The couple were granted a divorce in 2014 after 23 years of marriage and have three children together. She claims he betrayed and humiliated her after starting a relationship with a younger employee, with whom he has a love child. Courts have twice rejected her attempts to lay her hands on the shares, saying that while her ex husband does benefit from them, he does not own them directly. However, in new papers filed in Moscow, Natalie claims she should be entitled to half of the dividends from the shares, even if she cannot have the shares themselves. Although Potanin told Moscow courts that he is no longer a billionaire and is living on a salary of $480,000 a month, Forbes estimates that he’s worth $13.4billion. Now although Natalie was previously awarded $4.8million from the sale of a luxury apartment in central Moscow, along with three plots of land in the region, she claims her former husband hid wealth in a series of offshore companies to stop her from accessing it. Meet 5-year-old Utibe who sang #Davido’s hit song.